I’m not so concerned with my appearance as I am with being here in 30 years and enjoying my grandchildren. I want to tell stories about how we used to have these things called MODEMs that screeched to each other across phone lines. 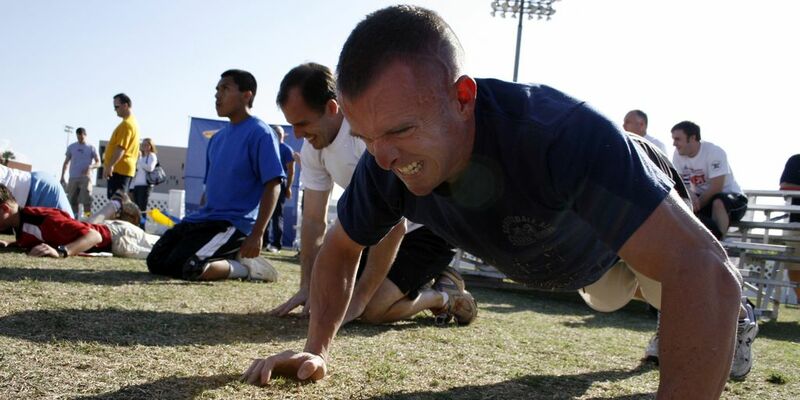 I did the 100 push-up challenge a few years ago. It was a great accomplishment to complete 100 consecutive push-ups in about 5 minutes. Now I want to try it again. Interested in joining me? Great! I’m happy to have some company. It only takes about 15 minutes a week and you will see some improvement with only little bit of commitment. I’m setting up a SECRET FACEBOOK GROUP so we can commiserate and encourage each other through the challenge. Message me and I’ll add you to the group.